Ellen’s story is of a remarkable young woman with a curiosity and determination to find out more about seaweeds and other plants. 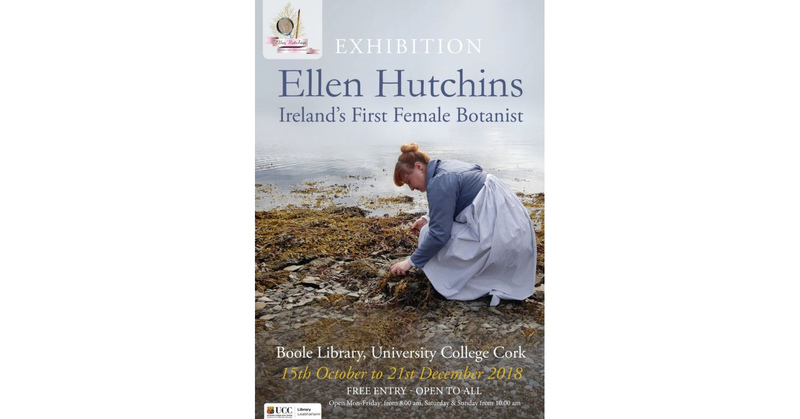 The exhibition has a selection of Ellen’s beautifully detailed watercolour drawings of seaweeds, her specimens, and her letters as well as objects and books that help to tell her story. The space features wonderful photographs of Bantry Bay, Glengarriff Woods and the special plants found in the area. You are invited to sit in a period chair and read some of Ellen’s letters. At a laboratory table, you can look through a folder of Ellen’s specimens, and peer through a microscope or hand lens at some amazing lichens. The exhibition is located on the ground floor of the Boole Library building on the main campus of University College Cork. All are Welcome.